(AP) NEW YORK - Moody's Investor Service is cutting its credit ratings on 28 Spanish banks, saying the weakening finances of Spain's government is making it more difficult for that country to support its lenders. Moody's also said the banks are vulnerable to losses from Spain's busted real estate bubble. The announcement from Moody's came on the same day that Spain's government formally asked for help from its European neighbors in cleaning up its stricken banking sector. However the request left many questions unanswered, including how much of a $125 billion loan package Spain would ask for. That uncertainty led to losses Monday in stock markets in the Europe and the U.S. Bond investors pushed Spain's borrowing costs higher, a signs of lagging confidence in the country's ability to support its banks. The downgrades are a measure of Moody's view on the ability of the 28 banks to repay their debts. 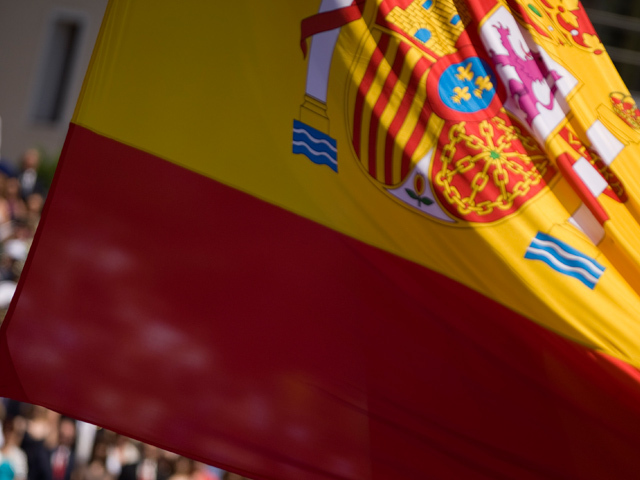 Moody's said the downgrades stemmed from its lowering of Spain's credit rating by three notches earlier this month. A downgrade usually means that banks will have to pay more for their debt. Investors demand higher interest for riskier debt, which is what the downgrades represent. However, with interest rates already at rock-bottom levels, the lower ratings may not significantly affect the cost of funding for the banks. Spain formally asked the European Union on Monday for rescue loans to help clean up its troubled banking industry. The Spanish economy, the fourth-largest of the 17 countries that use the euro currency, is suffering from the aftershocks of a real estate bust that has devastated families as well as banks. The unemployment rate is nearly 25 percent. The financial strength of Spain's government hinges on that of the country's banks, as both government and banks struggle for survival. Two-thirds of Spain's government bonds are owned by Spanish banks, pension funds and insurance companies. Moody's said in a statement that the agency was encouraged by the broad measures being introduced by Spain to support its banks. Moody's move came four days after the rating agency downgraded some of the world's biggest banks, including Bank of America, JPMorgan Chase and Goldman Sachs, reflecting concern over their exposure to the violent swings in global financial markets. Moody's also cut the ratings on seven German and three Austrian banks this month. The series of downgrades weren't a surprise. But they come at a time of great uncertainty in the global economy. Europe's 17-nation currency union is under threat, the U.S. economy is slowing and the economies of India, Brazil and China are cooling. EU leaders are meeting Thursday and Friday in Brussels, Belgium, for another summit aimed at reining in Europe's debt crisis. Debt-wracked Greece is looking to renegotiate some of the budget-cutting measures it has agreed to in exchange for continued support from international lenders. The summit comes just a week after Greece's new coalition government was formed following months of political turmoil and two inconclusive elections. Spanish government officials haven't said how much they will seek from the loan package offered by the EU June 9. Two international audits last week found that as much as $77 billion could be needed. Spain wants the loans to go directly to the banks so that the government wouldn't be responsible for repayment. That idea has met with resistance, however. The size and interest rates of the loans likely will be discussed at the EU summit this week. The bank bailout has only made investors more nervous about Spain's financial condition, amid unanswered questions about the country's request. Investors are concerned that beyond a rescue for its troubled banking sector, Spain itself may ultimately need a full country bailout like Greece, Ireland and Portugal. Steep losses stung stock markets on both sides of the Atlantic Monday. The Dow Jones industrial average dropped 138 points to close at 12,502.66, a loss of 1.1 percent. The broader Standard & Poor's 500 index fell even more, 1.6 percent. Many analysts believe big banks, including those in the U.S., would be the first to feel the hit of a freeze-up in Europe's financial system if Spain isn't able to convince bond markets that it can rescue its hobbled banks. The uncertainty pushed borrowing costs higher for Spain's government. Its stock market plunged 3.7 percent.